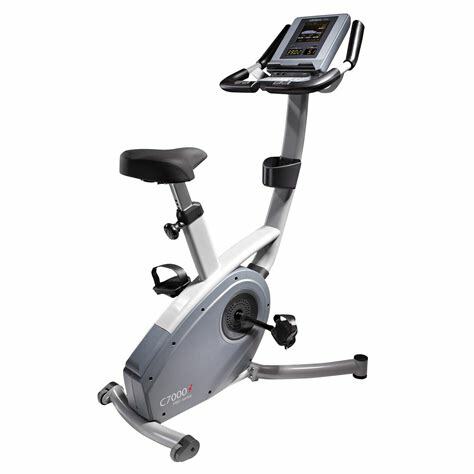 We crafted the C7000i upright exercise bike for cyclists that demand superior indoor fitness. 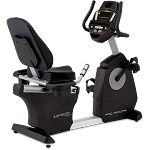 Boasting elite capabilities and comfort, riders experience exceptional outdoor-styled training from the comfort of home with this commercial stationary exercise bicycle. Commercial-grade, cast-metal components provide smooth, quiet use and years of durability, allowing you to push your limits with confidence. As efficient as it is capable, the C7000i commercial stationary bike is powered entirely by user motion, reducing ownership cost and eliminating carbon footprint. The cushioned seat has 19-height adjustment settings to ensure a perfect fit and comfortable ride, from the moment you begin to the second your workout is over. Adjustments range from 73.6cm up to 101.6cm, measuring from the top of the seat to the fully extended pedal, supporting most users from 152.4cm to 203.2cm tall. 3-Piece Crank 3-piece crank accepts standard road or mountain bike. Programs 2 heart rate control programs, and 17 programs grouped by exercise motivation type for weight loss, healthy living, and sports training.